Rolls-Royce is known to offer all sorts of accessories for its ultra rich customers. A while back they unveiled a set of traveling bags that cost more than a brand new car. However, we didn’t expect them to work on and unveil a picnic basket. Well, I guess you live and you learn and the Goodwood-based company appears as if it’s definitely not afraid of a challenge. 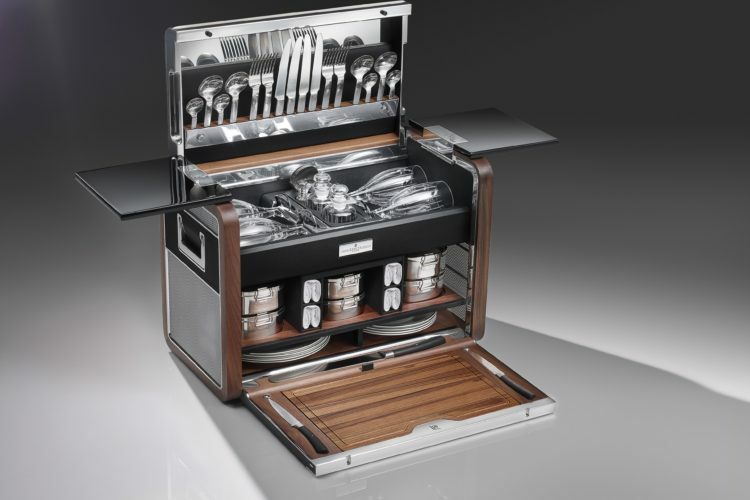 According to the Brits, the ‘bespoke’ picnic basket was put together to celebrate its Zenith collection. In case you missed it, the Zenith badge will be stuck on the last of the Phantom Coupe and Drophead Coupe models to be built of the current generation. As the Phantom heads out of production to leave room for a new model, the peeps over at Rolls-Royce decided to offer the customers buying the last 50 of these cars some bespoke features to go with their purchase. Among those features you’ll find champagne coolers and holders in the back, metal plates with laser-etched maps of Geneva or Villa d’Este at the back of both door armrests and a piece of the assembly line used in Goodwood for these cars’ assembly. Basically, you’re taking a piece of the building with you. Since that’s the case with these Zenith models – all of which have already been spoken for – offering a bespoke picnic basket doesn’t seem like a bad idea now, does it? Sure, we don’t expect owners of these cars to actually use them but they will be bought, nonetheless. Every one of them will be marked with the same number as the car that goes with it. Furthermore, the hamper itself is made from American Walnut wood and natural grain leather. Each is finished in a choice of three color combinations matching the interior of the cars themselves. These include Ardent Red leather and black leather piping inspired by a 1929 Phantom II; a combination of Navy Blue and Arctic White leather piping evoking the original 1925 Rolls-Royce Phantom II; or black Anthracite leather with Seashell piping, reminiscent of the 1911 Rolls-Royce Silver Ghost. Piano Black picnic tables housed within the hamper fold out on milled-aluminum hinges. 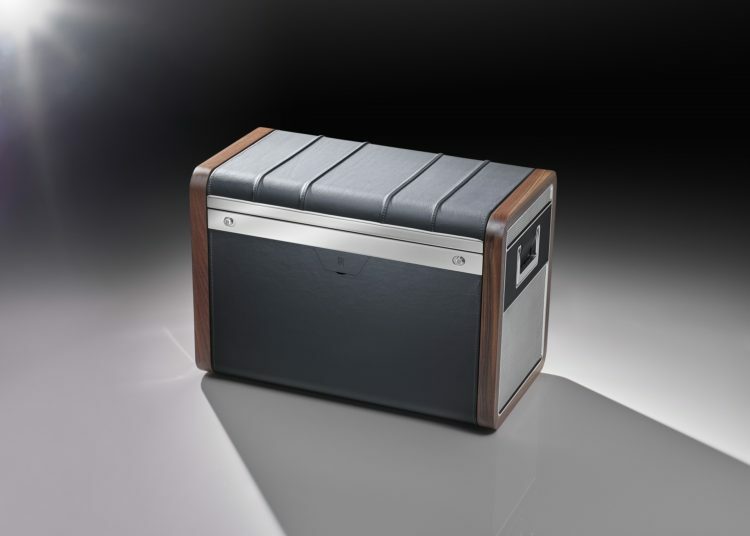 Like the armrest cappings inside the car, the hinges reference the history of Rolls-Royce cars, engraved with the locations of the global debut of the experimental versions of each car – Villa D’Este on the shores of Lake Como for 100EX, the progenitor of the Phantom Drophead Coupé; and Lake Geneva for the 101EX, the car that would become the Phantom Coupé. 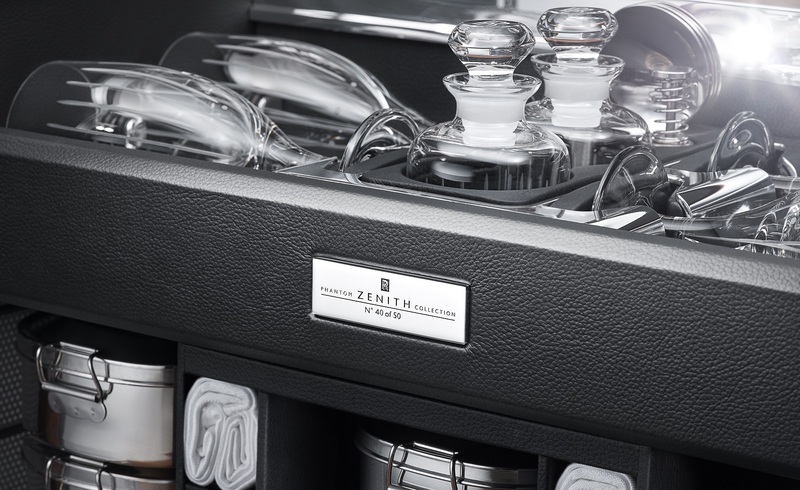 The leather and wood interior shelving of the hamper contains lead crystal wine glasses, handmade stainless steel cutlery, napkins embroidered with the Rolls-Royce monogram in Arctic White, and a handcrafted American Walnut chopping board. In case you’re curious how all of this actually looks in person, you can check it out at the Pebble Beach Concours d’Elegance starting today. Next post Why Did BMW Really Stop Making the Hydrogen 7 Model?